Northland Community & Technical College has been in existence in one form or other since 1949, when the Minnesota State Board of Education approved an area vocational school in Thief River Falls. Northland Community & Technical College has been in existence in one form or other since 1949, when the Minnesota State Board of Education approved an area vocational school for Thief River Falls. The school would later move to its present location and merge with two other institutions of higher learning: first with Thief River Falls State Junior College and later with the East Grand Forks campus of Northwest Technical College, to form Northland Community & Technical College. Each institution brought a long history of serving the needs of area students and employers, and with the advent of online education, expanding its reach far beyond the Red River Valley and northwestern Minnesota. The brief history of each institution is described below. For a more detailed description read our Institutional History of Northland Community & Technical College. The history of Northland Community and Technical College’s East Grand Forks campus dates back to December 1971, when the local school district was designated for an Area Vocational Technical Institute (AVTI). The first classes of the East Grand Forks AVTI were offered in January 1973 in rented facilities. The present facility opened in April 1975. NCTC - EGF grew with expansion and partnerships. 1971 - The local school district was designated for an Area Vocational Technical Institute (AVTI). 1973 - First classes of the East Grand Forks AVTI were offered in rented facilities. 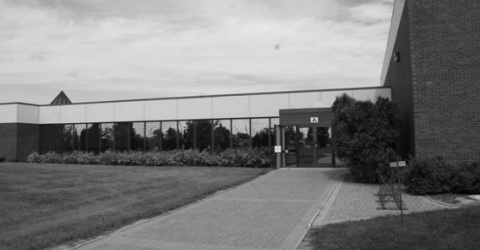 1975 - The present facility opened. 1987 - EGF AVTI became the East Grand Forks Technical Institute. 1989 - East Grand Forks Technical Institute changed its name to East Grand Forks Technical College. 1992 - The name was changed to Northwest Technical College and consolidated with five area technical colleges. 1995 - All public higher educational institutions were merged into one system MnSCU (Minnesota State College and Universities). 2000 - Northwest Technical College received a ten-year accreditation from North Central Association of Colleges and Schools. 2003 - The college was merged with Northland Community & Technical College of Thief River Falls. 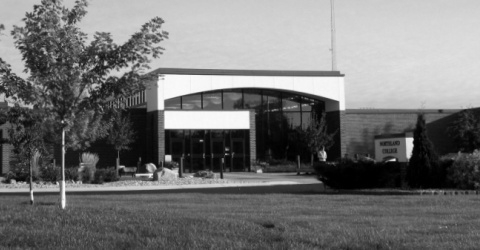 The history of Northland Community and Technical College's Thief River Falls campus dates back to 1949, when the Thief River Falls Area Vocational Institute opened. A few years later in 1965, the Thief River Falls State Junior College, also held its first classes. The names of the two colleges changed several times throughout its history. One of the most prominent changes occurred in July of 1995 when the two colleges merged to create Northland Community and Technical College. In July of 2003, Northland Community and Technical College in Thief River Falls merged with the East Grand Forks campus of Northwest Technical College, to become a two campus comprehensive college. 1949 - Thief River Falls Area Vocational School was established. It was held at various locations in Thief River Falls. 1965 - Thief River Falls State Junior College was established and housed at Lincoln High School. 1973 - Thief River Falls State Junior College was renamed Northland Community College. 1995 - The two schools were merged to form Northland Community & Technical College (NCTC). 2000 - Received a ten-year accreditation from North Central Association of Colleges and Schools. 2003 - NCTC merged with Northwest Technical College in East Grand Forks. The name remained Northland Community & Technical College.